“Field of Dreams” farmstead near Dyersville. A district court judge has ruled the Dyersville City Council acted reasonably when it rezoned the area around the “Field of Dreams” as commercial rather than agricultural property. Jim Heavens was Dyersville’s mayor at the time the council made that decision. A Chicago developer has plans to build a youth sports complex around the iconic baseball field featured in the 1989 movie, but a coalition that includes neighbors around the “Field of Dreams” filed a lawsuit nearly three years ago protesting the Dyersville City Council’s decision. Susan Hess is the attorney who represents the “Residential and Agricultural Advisory Committee”. “I really felt very strongly that the city did not follow the correct process,” Hess says. Hess says the group will “most likely appeal” today’s ruling. Hess says farmers in the area who joined the lawsuit are concerned about the increased traffic around the proposed sports complex, which would have 24 baseball and softball diamonds. Former Mayor Heavens says the judge’s decision “vindicates” the action he and the rest of the city council took. 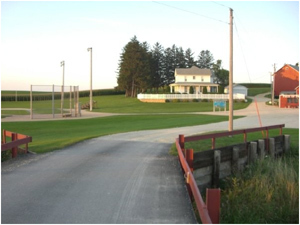 The district court judge ruled the decision to rezone the property was “made reasonably.” The “Field of Dreams’ is about 3 miles northeast of Dyersville.